Saigon is inherently beautiful and busy with the sunshine, the rain, and the hot air at noon because of the dust and smoke from vehicles on the road. However, the real hidden charm of Saigon can only be seen when the streets are lightened up. At night, Ho Chi Minh City has dressed up a completely different shirt by architectural buildings with colorful lights, busy streets, and colorful walking streets.Please join in Ho Chi Minh City nightlife with 5 experiences you cannot miss when you arrive here. 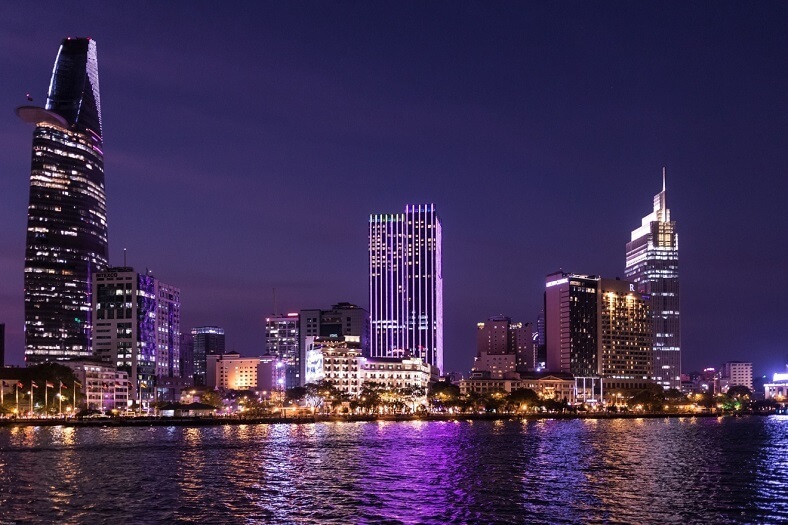 Admiring the sight of Saigon from above has become an elegant pleasure of many people, especially at night, when the city becomes glittering and splendidly colorful. There are many places where you can enjoy the pleasure but perhaps the most appropriate place is Saigon Skydeck Observatory. Located on the 49th floor of Bitexco Financial Tower, Saigon Skydeck Coffee is not just a coffee shop, but also the perfect place to see the whole city at the height of 179m. Bitexco Tower with 68 floors is considered as the new symbol of Saigon architecture. Visitors can easily see this building from anywhere in the city. Here you can also see the Saigon River as a romantic and lovely landmark of the city. Watching the sunset on the river always gives visitors an unforgettable experience. From the area of Thu Thiem Tunnel Park, with a view of the city center, you will see the towers lightening up in the night. Nguyen Hue Walking Street is the most attractive place for tourists. 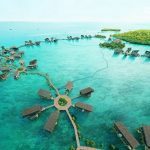 It includes many restaurants, hotels, coffee shops and the place for street art activities. In the walking street, you can see the interesting combination of the ancient and modern architectures. Around this street, there are many luxury hotels in Saigon with the standard of 5-6 stars. The Headquarter of the City People’s Committee is an ancient architecture built by French people hundreds of years ago. Over time, it retains the inherent beauty. At the foot of the President Ho Chi Minh monument in front of the office gathered a lot of young people, visitors to come, have fun at night. 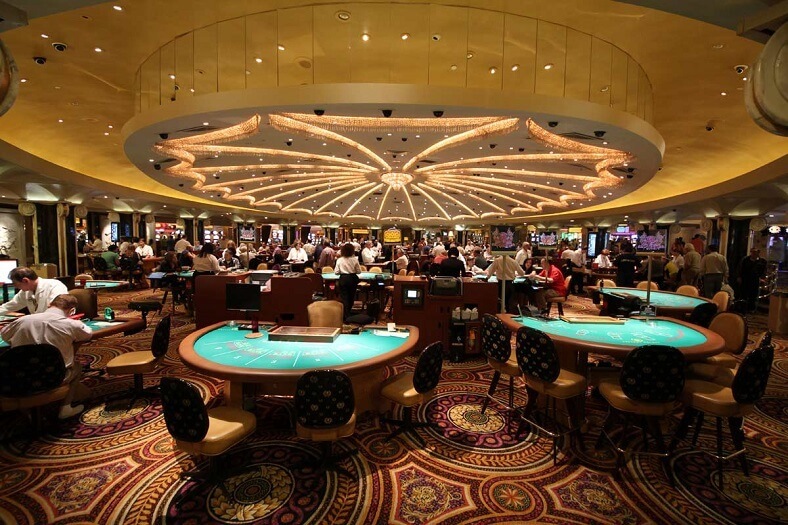 Despite of not being comparable to gambling capitals such as Las Vegas or Macao in China, the casinos in some big hotels in Saigon are still an ideal place for you to experience the excitement of having luck at the casino. Two of the largest casinos in Saigon are located at the Caravelle Hotel and Sheraton Saigon Hotel and Towers. Along with the coffee in the morning, drinking beer in the evening has become a cultural feature of Saigon. 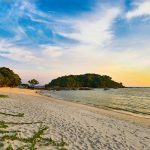 You can go to streets such as Pham Ngu Lao or Bui Vien – where a large number of foreign tourists are gathered – to enjoy the cheap beer on plastic chairs along the sidewalk and chat with friends all night long. This is often seen as a favorite place for youngsters when they are immersed in the excitement of a dance club or bar. Saigon has long been a center of entertainment with a system of restaurants, hotels, clubs, and bars. You can come here to enjoy a drink, enjoy yourself in the vibrant dance and music to forget all the troubles. If you’re lucky, you’ll be able to make new friends and have fun all night. 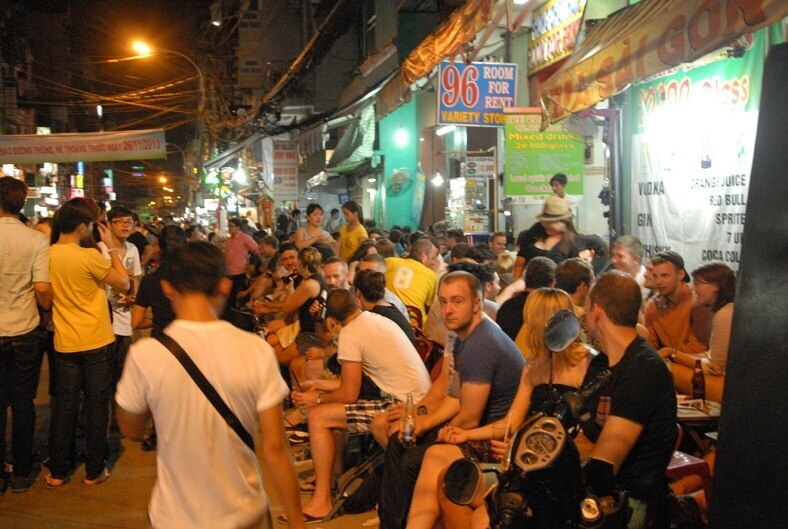 The bars and clubs of Saigon are usually open from the night lasting up to the next day morning (about 4 a.m). That would be a big omission if you did not mention Saigon cuisine at night. If you are tired and hungry after the fun in bars or clubs or the hours wandering around the streets of Saigon, the street food eateries are the ideal resting places. It’s great for you to find something that solves the hunger. 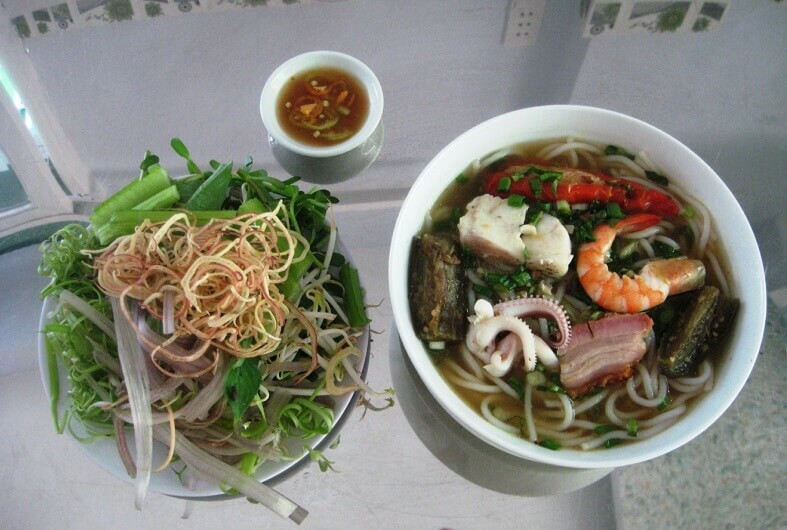 You have many choices from the soup, stir-fried noodles, Pho to other familiar foods such as Chinese sweet soup. Hang Xanh white porridge (opening from 5 p.m to 4 a.m) at Hang Xanh crossroads, Xo Viet Nghe Tinh street, Binh Thanh district. Price: from 7,000VND (0.3$) depending on the type of food. Oyster fried with eggs (opening from 6:30 p.m to 1 a.m) at 128 Phung Hung, District 5. Price: 80.000VND/plate (3.5$). And there are many others places that you will discover when you experience it yourself. People often joke that “Saigon never sleeps because money is never enough”. It is Saigon, always moving and dynamic. Even in the most difficult times, Ho Chi Minh city nightlife is like a young lady with a little bit of cute but also having hidden secrets waiting for you to discover. We hope that the above information will be helpful for you. Let’s go and experience.